Alpina is a new timber veneer collection. 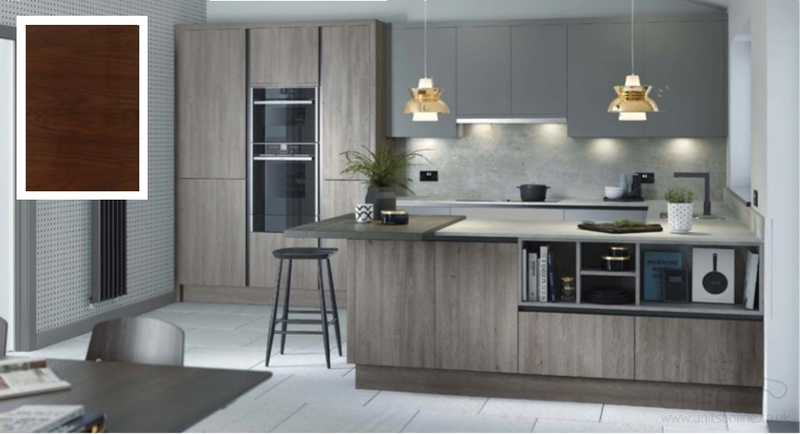 It is available in 12 striking woodgrains with a choice of matt, high gloss and textured embossed finishes. These premium veneer doors will add style to your modern kitchen design and work well when mixed with other doors from other ranges such as Porter. Shown here are the textures finished gloss.